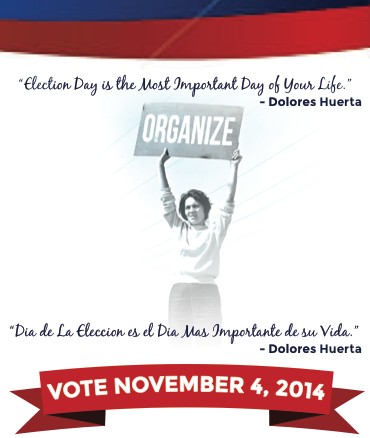 Just 4 days until Election Day!!! Our grassroots organizers need your help to make sure our families, friends and neighbors turn out to vote. We’re calling on all of our supporters and their friends, to join us THIS WEEKEND* in the Central Valley to GET OUT THE VOTE! Training and food provided. *Volunteers also needed on Monday 11/3 and Tuesday 11/4. On election day, November 4th, California voters have the power to be the first in the nation to begin to fix our broken justice system by voting YES on Proposition 47, the “Safe Neighborhoods and School Act.” This bill will eliminate unfair sentencing laws that target victims of drug addiction and poverty. In the next five years, California will save between $750 million to $2 billion by correcting sentencing laws. This is funding that will be re-distributed to K-12 schools (25%), trauma recovery services (10%), and mental health and substance abuse treatment programs (65%). Voting YES on PROP. 47 will create safe and healthy communities. Won’t you come out and walk with us? Be one of those on the ground helping to balance the scales of justice! Are you ready to help redirect funds away from the prison system and towards educating California’s youth? Are you committed to ending the School-to-Prison Pipeline? Please consider organizing a delegation to Bakersfield, California. Can’t join us in person? Please support this effort by donating. Just $5 pays to feed and train a volunteer.